Flowers, gardens and waltzes seem to go well together – at least in ballet. In Alice’s Adventures in Wonderland, the tantalizing garden that Alice glimpses through an impossibly small door becomes the object of her searches through Wonderland, the place she hopes to find the Knave of Hearts. A waltz characterizes this desirable garden, and as its composer, Joby Talbot, describes it: ‘whenever Alice hears the flower waltz, she knows she should head towards it. Sometimes she thinks she’s there, sometimes she’s so close but gets lost and finally, when she arrives, we hear the Flower Waltz in its entirety as the culmination of a journey.’ The waltzing flowers have an exuberance to match the music, which is reminiscent of a fairground carousel. There is a rather different tone of waltz for the Queen of the Dryads in Don Quixote. The hapless hero of Petipa’s ballet, knocked unconscious by a rampaging windmill, dreams he is among tree-dwelling spirits and their queen. 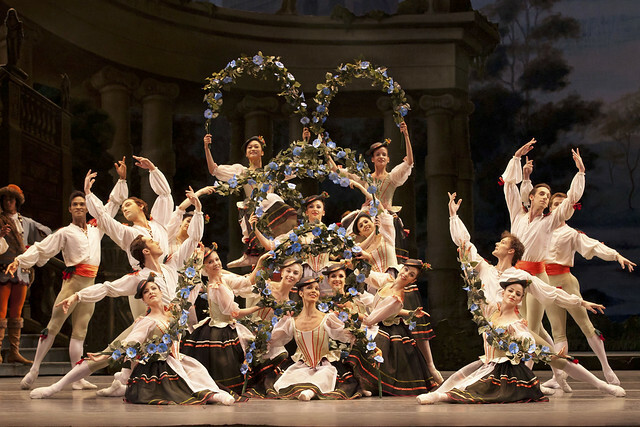 An association with flowers in such a bosky setting is inevitable, not least with the imagery of the round spreading tutus, decorated with petals and flowers, and the sinuous, elegant bending of classical choreography. The queen is introduced with a gentle waltz in which the choreography captures the pendulum-like, easy flow of the waltz’s three-in-a-bar rhythm and the rise and fall of the melodic phrases. Probably the most famous of all flower waltzes is Tchaikovsky's for Act II of The Nutcracker. Again, the setting is a garden (a Sugar Garden, no less), where Clara and her Nutcracker are entertained after victory over the Mouse King and his army. The Waltz follows a series of short character dances, and fills the stage with the corps de ballet in a joyful climax. In fact, these concerted waltzes for the corps de ballet and some of the principals are often the conclusions to scenes. The seemingly perpetual, uplifting motion of the waltz lends itself to celebratory finales. All of these three waltzes personify flowers in various ways: the spreading shape of the tutus as though the petals of a flower, pastel colours, decorations of flowers and petals on the costumes, swaying movements like the gentle wafting in a breeze, arm gestures like the opening from bud to bloom, or turning and spinning that emphasize the circular symmetry of the flower. But flowers are used for their romantic symbolism too. In Act I of The Sleeping Beauty the Garland Dance takes place as part of the celebrations of Princess Aurora’s name day. The corps de ballet dance with hoops and garlands of flowers to create elegant, evolving shapes, and also bring a bucolic and charmingly youthful quality to the party. The Garland Dance is a waltz, naturally. Continuing the flower significance, it is followed by the famous Rose Adage, for Princess Aurora and her suitors, in which the presenting of a flower from each suitor to her expresses a profession of love. Perhaps most distinctive of all the flower ballets is not part of a large narrative work, but a short, self-contained pas de deux based on a poem by Théophile Gautier: Fokine’s Le Spectre de la rose. In it, a rose worn by a young girl at a ball manifests itself in her dreams as a romantic ideal; its beauty and grace represents the physicality of a lover. 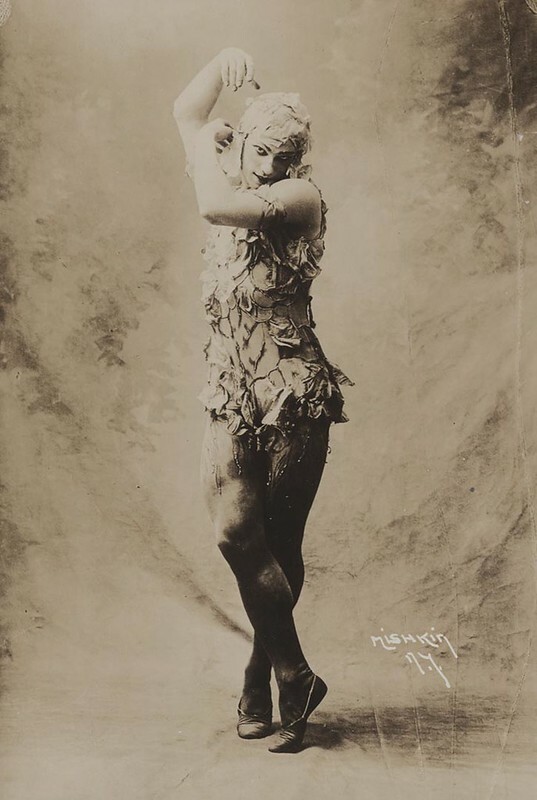 It was a signature piece of the creator of the title role, Vaslav Nijinsky. His leap through a window into the girl’s bedroom has become the defining image of the work, but the work is more properly an exquisitely tender interpretation of a young girl’s romantic longing. And the music for this ballet? Carl Maria von Weber’s piano piece Invitation to the Dance – a waltz. The Sleeping Beauty runs 21 December 2016 – 14 March 2017. Tickets are still available.